PHD Chamber’s “Swachh Paryavaran Campaign” under the aegis of PHD Chamber of Commerce & Industry hosted Recycling Awareness Workshop to conserve resources & environment. The activity which took place at Ahlcon International School, Mayur Vihar was attended by around 1000 students. On the occasion Mr. Ashok K. Pandey, Principal said “I would like to congratulate the team of the campaign for addressing this pressing issue as each one of us should take the onus to ensure clean environment. Our motto “Global Perspective Indian Values” is a driving force to pitch our students and their thoughts and creativity with their counterparts in the different time zones of the world.This particular workshop by PHD Swachh Paryavaran Campaign is an path breaking initiative for students to imbibe a habit change within themselves. PHD Chamber Swachh Paryavaran Campaign activities lay emphasis on recycling drive in Schools and colleges which is aimed at social transformation of young minds. This campaign is supported by Ministry of Environment, Forest & Climate Change under Government of India. 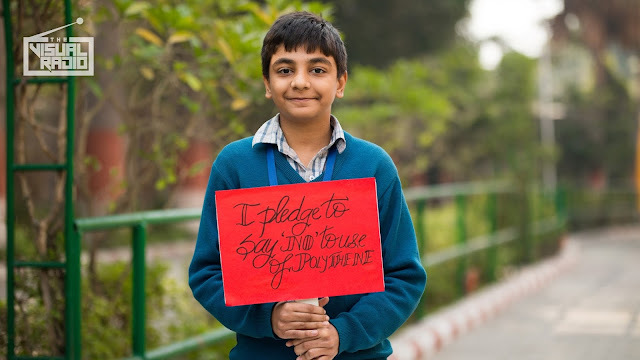 Swachh Paryavaran Campaign aims to impart a powerful message to the society on CLEAN ENVIRONMENT by empowering schools to become agents of social change. 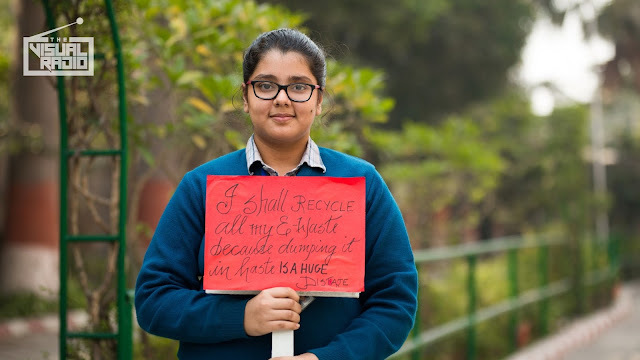 Students are becoming ambassadors to promote the idea of recycling waste and making environment Eco-friendly. 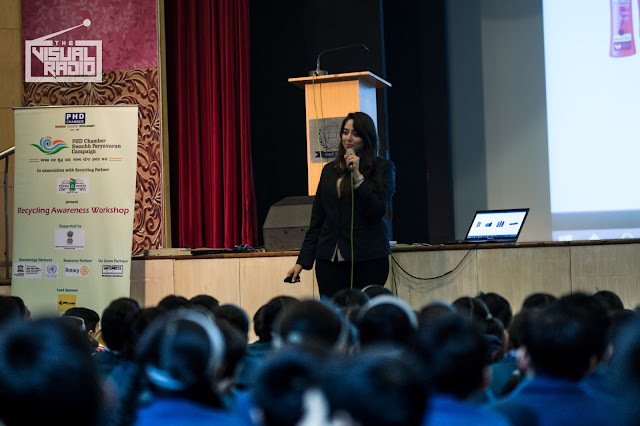 The recycling awareness workshop under “Swachh Paryavaran Campaign” has been conducted for over 20000 students in various Delhi Schools by imparting them knowledge of waste segregation and recycling of plastics, paper, glass, metal, cardboard, old exam papers etc among other waste material.